Business cards are a quick and easy way to share important contact information. Your business card should include contact details such as your name, address, telephone number, email address and company website. 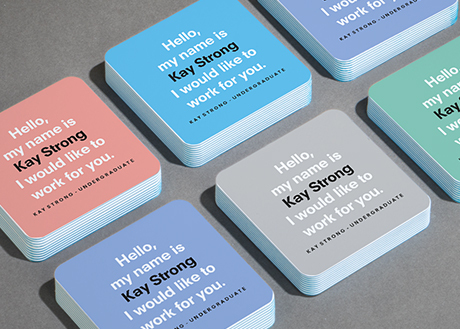 It is also a good idea to design your own business cards with a selection of colours that are in-keeping with your company logo and company colour scheme. This will help customers identify with your brand and remember your business. If your customer is happy with your work then they may share your business cards with their family and friends, this makes business card printing a relatively cost effective way to market your business and generate new customers. Where to design your own business cards online and get free UK delivery? There are many business card printing companies that allow you to design your own business cards or upload your own designs for printing. You might recognise brands such as MOO, Vistaprint and Printed.com to name a few. Typically, you can select a design from their free business card templates or design your own business cards from scratch. 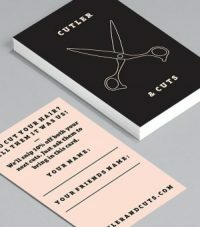 Multiple card stock, card shapes and finishing options are available so it’s really easy to design business cards that are unique to your business. 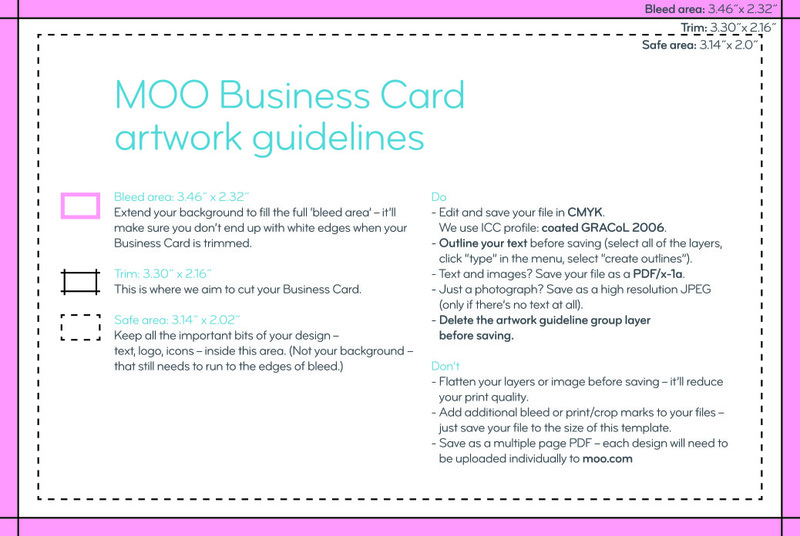 Many business card printing companies, such as MOO, offer next day delivery. With MOO, if you select next day business card delivery and you’ve ordered before 12pm (GMT) Monday – Friday, then your business cards will arrive the very next day. Card types for business cards? Cheap business cards – Cheap business cards are usually printed on 300gsm – 350gsm card. Cheap business cards are typically available in various finishes such as smooth matte or a shiny gloss finish and are also available with rounded corners. Companies offering business card printing services may refer to cheap business cards as original business cards, standard business cards, economy business cards or low-cost business cards. Premium business cards – Premium business cards have strong, non-bendy properties with a soft or or high gloss finish which gives them their smooth feel. They are available with rounded corners, gold foil, spot gloss and raised spot gloss finishing options and are typically printed on 350gsm – 400gsm premium business card stock. Business card printing companies such as Vistaprint and MOO have similar products called deluxe business cards and super business cards. Luxury business cards – Luxury business cards, otherwise known as luxe business cards or ultra thick business cards are typically printed on ultra thick 600gsm card. They have an optional seam of colour which runs through the middle of the card. If you compare these to cheap business cards, luxe business cards are the gold standard and although slightly more expensive, they’re bound to make a lasting impression. Luxe business card printing can be completed on original business cards, square business cards or Minicards dimensions. Recycled business cards – Recycled business cards, also known as green business cards are manufactured using recycled paper. The stock is typically 325gsm, is uncoated which gives green business cards a smooth white paper look. Plastic business cards – Plastic business cards can be printed with a variety of plastic finishes. Translucent plastic business cards, tinted plastic business cards, satin plastic business cards and full colour plastic business cards are popular finishes. Plastic business cards are difficult to tear and are considerably more durable than original business cards. Standard business cards – The standard UK size for business cards is 84mm x 55mm, they have an almost endless combination of stock and finishing options and most business card holders have been designed to fit business cards of this size. Slim business cards – Slim business cards, as you might expect, are slimmer than standard business cards at 40mm x 85mm. They will fit into a standard business card holder and can be printed with matte, glossy or linen finish. Square business cards – Square business cards are square in shape at 65mm x 65mm and can be printed with matte, glossy or linen finish. You can also add additional finishes such as spot gloss, raised spot gloss and gold foil. Mini business cards – Mini business cards are the smallest cards of the bunch at 70mm x 28mm. They can be printed on ultra thick 600gsm stock or standard 350gsm stock. Rounded corner business cards – You can apply rounded corners to square business cards, mini business cards, slim business cards and standard business cards. They are usually made using a die-cutting technique to ensure the best possible quality and the corners typically have a 5mm radius. Personal business cards – Personal business cards are printed with your personal contact information such as your name, address, email address and telephone number. You can also include social networks or personal websites e.g LinkedIn, Twitter or blog. Networking business cards – Networking business cards are an excellent way to connect with new people and share contact information at networking events. The majority of people attending these events will have some sort of business card or personal business card. Appointment business cards – Appointment business cards are ideal for dental, hairdressing, doctor and dog grooming appointments. Appointment cards remind your customers of the time and date of their appointment and give them a way to contact you when they book again. Parent business cards – Parent business cards help you easily swap details with other parents whilst you’re out and about. Glossy finished business cards – Laminate coating is applied to the card which gives a smooth and shiny texture. Glossy finishes are great for photos and colourful business cards. Matte finished business cards – Laminate coating is applied to the card which gives it the matte finish and eliminates glare almost completely. Matte finishes are good for readability and is easy to write on. Silk matte business cards – A silk matte coating adds an extra layer of durability and strength to the card making the finished business cards feel thicker. Linen finished business cards – Linen finish is a unique woven texture type feel. It works best with designs that use less ink. Spot gloss business cards – Spot UV is an ultraviolet varnish that enhances areas of the card making the colour look richer and shine with a varnish coated feel. Folded business cards – Various types of folding can be applied to business cards. One of the most common folding options is a single fold as it doubles the space available to put information on the card. Metallic finished business cards – Foil is printed to give a metallic finish by using heat and pressure. Heat activates the glue on the back of the foil and pressure is used to push the foil into the card. Gold and silver are the most common foil options for metallic business cards. Raised spot gloss business cards – Raised spot gloss is a raised spot UV which can overlay your standard design or be an invisible element on unprinted parts of your cards. Embossed finished business cards – Embossed business cards are made through heat pressing into the card or paper without any use of ink or foil. It gives a very strong texture to your business card and in some cases can give a 3D visual effect. Double sided business cards – Double sided business cards are printed on both sides of the card. Gold foil business cards – Gold foil detail can be added anywhere on your business card design. It can work in combination with your standard design or you can create your business card design using gold foil. Make sure you check your spelling before you submit your order. Check the telephone and mobile number is correct before you submit your order. Use a font greater than 10-point for easy readability when designing your own business cards. Plastic holders for business cards – Plastic business card holders are a basic and cost effective way to stay organised and keep your business cards in good condition. Desk holders for business cards – Desk business card holders are particularly useful when presenting business cards in your reception, office or even at trade shows. Desk business card holders make it easy for customers to pick up your contact information. Leather holders for business cards – Leather business card holders are super soft to the touch, easy to carry and made to last. Leather business card holders are a brilliant way to keep your cards in mint condition. Minicard holders for business cards – Mini business card holders can me made from a range of materials and are designed to carry mini business cards measuring 70mm x 28mm.